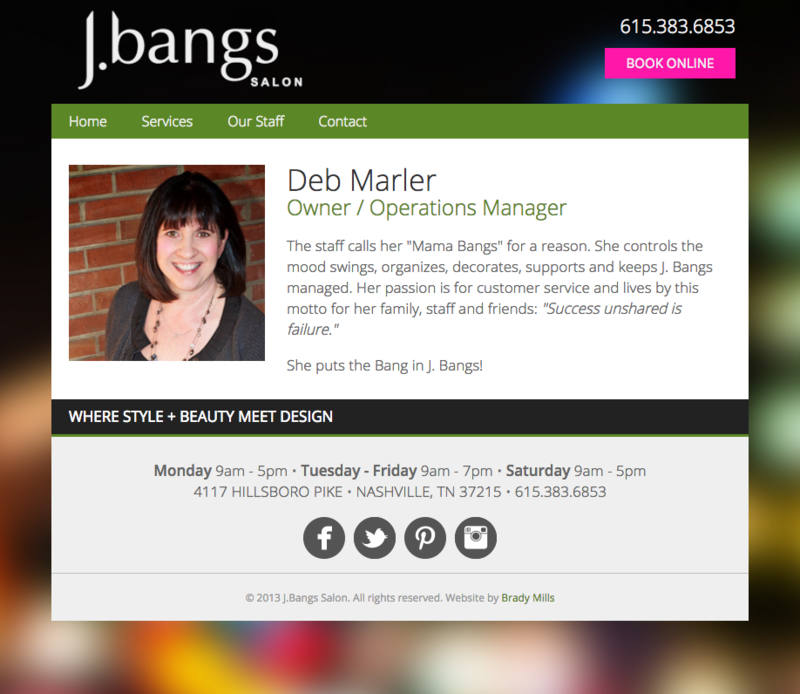 Owner’s Deb and Julie Marler reached out to us to redesign their hair and blow out salon’s website. 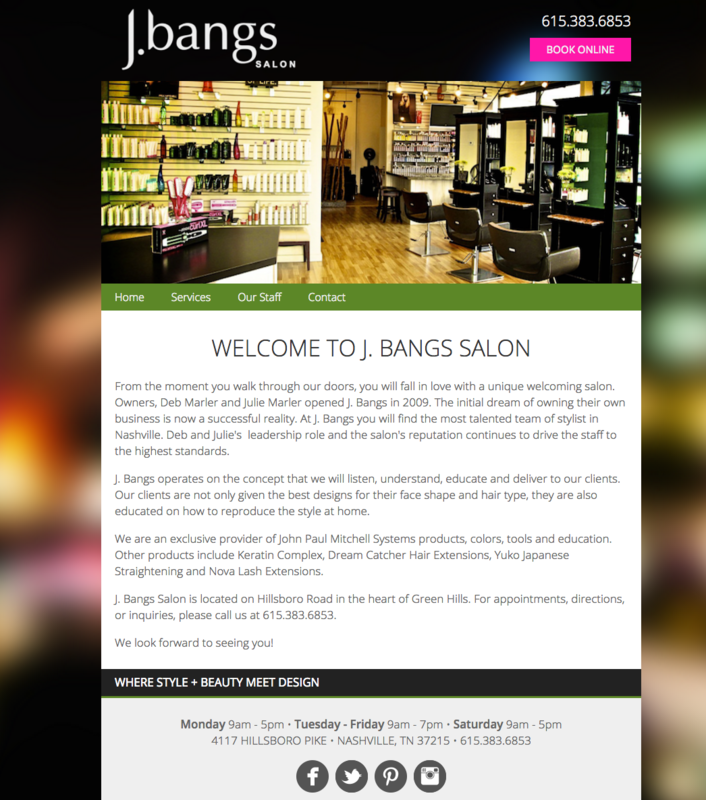 After opening the blow out bar, they decided it was time to appropriately gear their website to market both services. We were happy to help! We created a landing page to drive traffic to the appropriate brand. Beautiful colors and images are used to add interest, while keeping the content clear and concise. A large, bright call to action is used to drive more bookings. A people-oriented business, the staff pages showcase each employee and give a little personal information about their background and personality. High-quality photographs add to the site’s richness.